Hello! I hope you're having a great weekend! I'm back with another card using Bright Bouquet, the Taylored Expressions June 2014 Stamp of the Month. 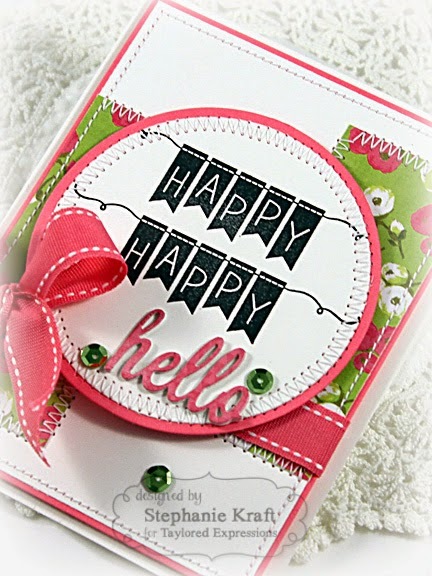 This is a bright, fun card that can be used just to say hello or for any happy occasion. 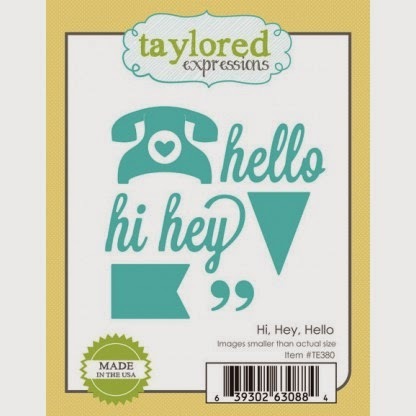 Accessories: Taylored Dies: Hi, Hey, Hello (TE), Standard Circle Nestabilities (Spellbinders), Sequins (Hazel & Ruby), Ribbon, Foam tape, Thread, Sewing machine. 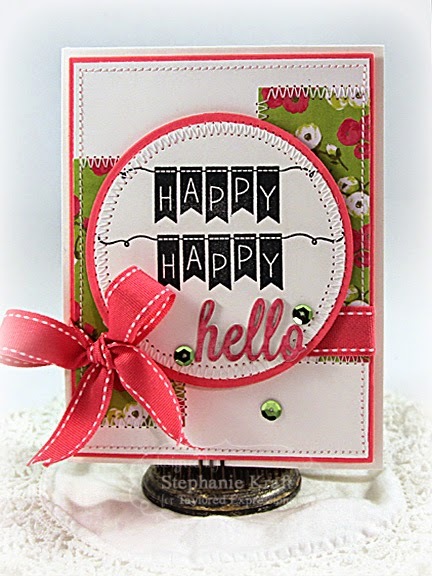 Such a fun and colorful card Stephanie! Love the pretty pink bow!